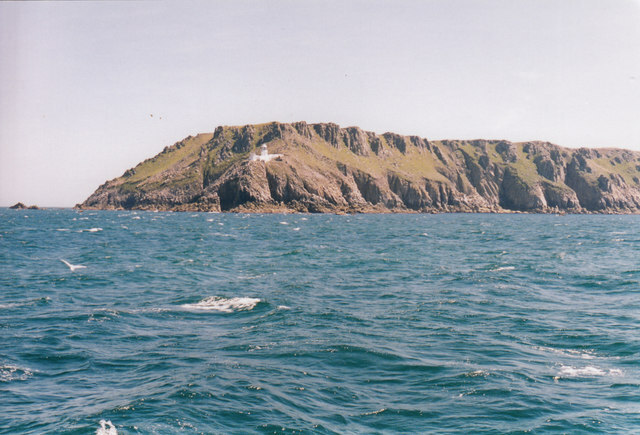 A view of the north lighthouse on its rocky perch at the northern end of Lundy Island. A very necessary addition to the scene this lighthouse, along with its partner at the southern end of the island, was opened in 1897 and automated in 1985. The pair replaced the Old Light which stood at a high point on the island, was shrouded in fog rendering it useless to crews at their time of need. This view was taken from the PS (paddle steamer) Waverley on a day cruise from Ilfracombe but the sea conditions on that day meant that we were unable to land and had to be content with a circuit of the island. But in the September of that year I was there for a holiday and I must go back again for more of that Lundy morning feeling. I stayed in Old Light Cottage, booked with the Landmark Trust, where the previous occupant that day was landscape photographer Derry Brabbs, but I missed him by only a few hours. Time taken not available. © Copyright Martin Richard Phelan and licensed for reuse under this Creative Commons Licence.